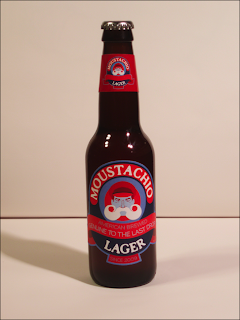 Here's the product that my original mustache sketch was intended for. I'm tempted to expand upon it and develop it into a series, even though it was supposed to be just a fun project. For the record, I did not design the bottle itself. The bottle is a Columbus Brew bottle. 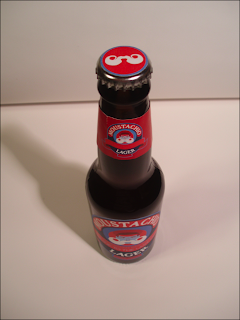 I was going to use the Red Stripe bottle, but it's label is done with silkscreen, and therefore next to impossible to remove. All I had to do though was make a neck label, and it it worked just fine for this bottle.